Iowa farmers face many risks when they head into the field. Agriculture made up over 30 percent of occupational fatalities between 2001 and 2011. Many of these deaths involved tractor rollovers and grain bin accidents, an IowaWatch analysis of Iowa Fatality Assessment and Control Evaluation data shows. These deaths could often be prevented through safety improvements, such as adding rollover protection to tractors and training workers in grain bin safety. But researchers and farm safety advocates say farmers are a hard bunch to reach. 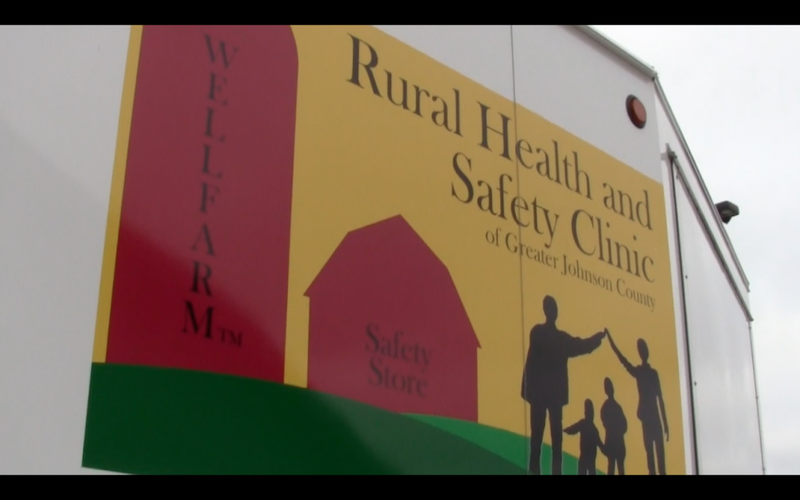 Andy Winborn, program manager for the Rural Health and Safety Clinic of Greater Johnson County, said he hopes to reach more farmers by traveling to fields and events with the clinic’s large trailer packed with safety equipment. Winborn said the trailer will let farmers see the equipment for themselves and learn best practices. One-on-one conversations with farmers is key to reaching them, Winborn said. “Technology has really made it easy to put things on the web and produce things on the web and say, ‘Hey, I did my thing; I created an education program.’ And lots of farmers don’t learn that way, the farms are so different between farms that one presentation isn’t really going to work. Farmers want a personal relationship with somebody and our industry, our culture has gone away from personal relationships and put smartphones and the web in its place,” he said.